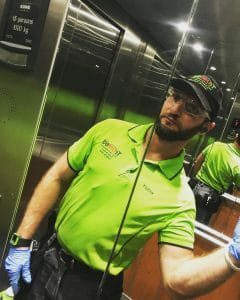 Trusted Pest Management offers an extensive array of termite inspection and pest treatment services to all residential, commercial, and government properties in Sydney and Brisbane, Australia. With years of experience in pest control, we assure we bring you an effective defence against pests. Why do you need a pest inspection? Pests are quirky and are hard to detect most of the time. Termites, for example, their infestation can only be obvious when damages have already been made such as wooden parts or columns of the house or building starting to disintegrate . Indistinguishable process yet massive damage. Pests of any kind can be highly destructive in any way they can. If your property hasn’t been inspected over a long period of time or treated, chances are that these pests may have started to infest your property. If you do not know what to do, leave it to the experts who have the skill and knowledge to address the problem. Trusted Pest Management has a skilled team that is capable of inspecting one property for even the slightest sign of pest infestation. Our pest operators are well-trained and use effective yet harmless methods of pest control and maintenance. We rigorously inspect your property, looking for entry points and factors that might have attracted these pests to your area. Aside from inspection, we provide pest treatment to eliminate them as quickly as possible. To ensure pests do not continue to thrive any longer on your property, we will conduct follow-ups and annual maintenance check-ups. Of course, we never stop there; we will also give important prevention advice to our clients as to how to keep their area safeguarded from pests all by themselves. Trusted boasts itself to be a highly recommended pest control service provider in Queensland. Not just that, we are proven to be safe and effective with child, pet, family and eco-friendly products and tools we use in all our operations. Our operators are proactive and know exactly what to do when it comes to proper pest removal. As always, all our services are centered on Integrated Pest Control (IPC) and Environmental Pest Management (EPM) practices, ensuring we don’t compromise nature and human health while giving you the best pest control experience. If you feel the need to have your property inspected, we are more than welcome to help you. Give us a call today!